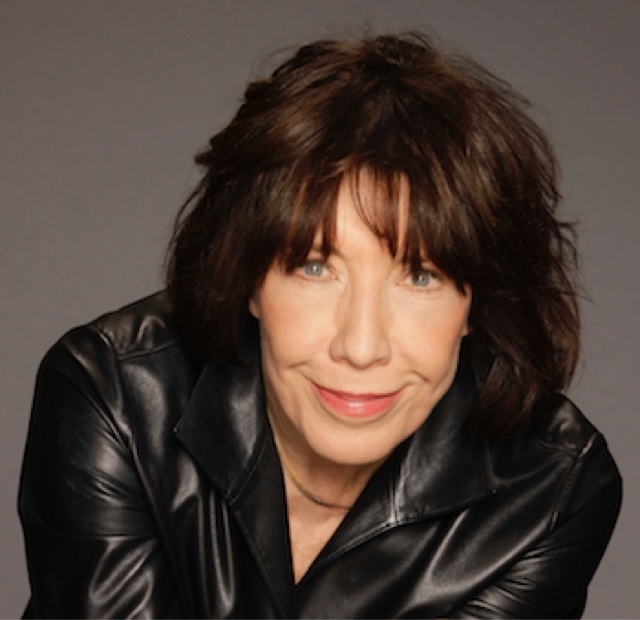 Lily Tomlin – an entertainment maverick whose talents put her at the pinnacle of comedy, acting, writing and producing – has been named the 53rd recipient of SAG-AFTRA's highest tribute: the SAG Life Achievement Award for career achievement and humanitarian accomplishment. Tomlin will be presented the performers union's most prestigious distinction at the 23rd Annual Screen Actors Guild Awards®, which will be simulcast live nationwide on TNT and TBS on Sunday, Jan. 29, 2017 at 8 p.m. (ET), 7 p.m. (CT), 6 p.m. (MT) and 5 p.m. (PT). The SAG Life Achievement Award will join Tomlin's extraordinary collection of preeminent industry and public honors, which includes a 2014 Kennedy Center Award, the 2003 Mark Twain Prize for A merican Humor, two Peabody Awards, multiple Emmys® (including this year's Lead Comedy Actress nomination), numerous American Comedy Awards, two Tony® Awards, a Grammy®, a Writers Guild of America Award and both the Crystal Award and the Lucy Award from Women in Film. That Tomlin embodies the SAG Life Achievement Award’s "finest ideals of the acting profession" is amply celebrated by these and her numerous other professional and philanthropic commendations. Lily Tomlin has been a cherished star in the entertainment firmament since she joined the groundbreaking television series Rowan and Martin's Laugh-In in 1969, when it was rated the No. 1 show and watched by over 25 percent of all American television viewers. She and the colony of characters she created have continued to evolve, grow, deepen and adapt to this day, as Tomlin expresses her talents in nearly all forms of media. It was Laugh-In – which TV Guidemagazine named one of "50 Greatest TV Shows of All Time" – that introduced mainstream America to Tomlin characters like the overbearing (and snorting) switchboard operator Ernestine, the philosophical 5-and-a-half-year-old Edith Ann and the ultimate very tasteful suburban socialite Mrs. Audrey Earbore III. Since then, under the Tomlin-Wagner banner with her long-time partner, writer and producer, Jane Wagner, Tomlin has starred in six comedy specials, three of which earned four Emmys. Tomlin and Wagner also produced three animated specials based on Edith Ann, voiced by Tomlin, including the Peabody Award-winning Edith Ann's Christmas (Just Say Noël). Tomlin's talents span many roles and genres, from Ms. Frizzle in the animated The Magic Schoolbus, Candice Bergen’s boss on Murphy Brown and Lisa Kudrow’s narcissistic mother on Web Therapy, the compelling drama of the president's executive assistant on The West Wing (a role which earned her an individual 2003 SAG Award® nomination) and her Emmy-nominated performance as the wife of a disgraced financier in Damages. She also is continuously in demand for guest-starring appearances. In Tomlin’s very first movie, Robert Altman's Nashville, she earned Oscar®, Golden Globe®, BAFTA and other award nominations for her performance as Linnea, a gospel singer with a strained marriage and two deaf children. She went on to dozens of leading roles in a catalog that includes The Incredible Shrinking Woman, written by Wagner; Altman's The Late Show; 9 to 5, with Jane Fonda and Dolly Parton; All of Me, with Steve Martin; Woody Allen’s Shadows and Fog; Jim Abraham's Big Business, with Bette Midler; David O. Russell’s I Heart Huckabees, with Dustin Hoffman; Franco Zeffirelli's Tea with Mussolini, with Maggie Smith and Judi Dench; and two additional Altman movies, Short Cuts and the director's final film, A Prairie Home Companion, written by and co-starring Garrison Keillor. Most recently she played the title charact er in th e dramedy Grandma, a psychologically deep role director/writer Paul Weitz said he developed with Tomlin in mind and which earned her a Golden Globe nomination. In an early milestone, Tomlin appeared in her first solo Broadway show, Appearing Nitely, which featured some of what are now her most beloved and memorable characters. Along with the already classic Ernestine and Edith Ann were Lucille, who has an unusually intense relationship with rubber; Lud and Marie; Sister Boogie Woman; and the touching acumen of Trudy the Bag Lady. The show earned Tomlin a Tony and a Time magazine cover story with the headline, “America’s New Queen of Comedy.” Her next Broadway triumph was in Jane Wagner’s play The Search for Signs of Intelligent Life in the Universe, which earned her a second Tony for Best Actress, as well as a Drama Desk Award and an Outer Critics' Circle Award. She later reprised this role in the film adaptation of the same name, which won a CableACE Award. Tomlin is internationally known for her sharply witty yet compassionate live performances, which include the above char acters, as well as Madame Lupe, the world's oldest living beauty expert, and Mrs. Beasley, Middle America's most famous housewife. Tomlin is well-known for supporting philanthropic organizations, particularly those focused on animal welfare, civil rights, health care, overcoming homelessness and supporting the LGBTQ community in all aspects of life. She has given countless fund-raising performances for organizations across the country, including The Ann Richards School for Young Women Leaders, Rosie's Place in Boston, Project Home in Philadelphia and many, many other community action groups. Tomlin has contributed in other ways to improve conditions for all living things, such as co-founding the Los Angeles LGBT Center’s Lily Tomlin/Jane Wagner Cultural Arts Center. Tomlin and Wagner together also founded the Goosebump Garden at the internationally known LGBT Fenway Health Center in Boston and have been involved in its growth for over 25 years. As part of her concern for animals, Tomlin earned an Emmy for her narration of the documentary An Apology to Elephants. She has worked with elephant activists all over the country to take elephants out of zoos, is on the boards of Actors and Others for Animals and the Shambala Sanctuary. She also works with Paws Elephant Sanctuary in California. She has received the Petco Foundation’s Hope Award for being a leader in animal welfare, and she established the Voice for the Animals Foundation’s Lily Award, to highlight just a few of her interests. Tomlin's humanitarian efforts earned her the Honickman Foundation’s Golden Heart Award for her impact in breaking the cycle of homelessness and poverty. To name just two of many organizations she supports, Tomlin devotes her time to Smile Train, the international charity that provides cleft palate/lip surgery to children, and PAWS/LA, which assists low-income elderly and people living with catastrophic illness keep and care for their pets. The 23rd Annual Screen Actors Guild Awards® presented by SAG-AFTRA with Screen Actors Guild Awards, LLC will be produced by Avalon Harbor Entertainment, Inc. and nationally simulcast live on TNT and TBS on Sunday, Jan. 29, 2017 at 8 p.m. (ET) / 5 p.m. (PT). Nominations will be announced on Wednesday, Dec. 14, 2016.